Herring play a vital role in the North Atlantic ecosystem—serving as food for tuna, cod, striped bass, seabirds, dolphins and whales. But herring and their predators are threatened by industrial-scale fishing by midwater trawlers. Up to 165 feet in length, these ships are the largest fishing vessels on the East Coast, capable of netting 500,000 pounds of sea life in one tow. 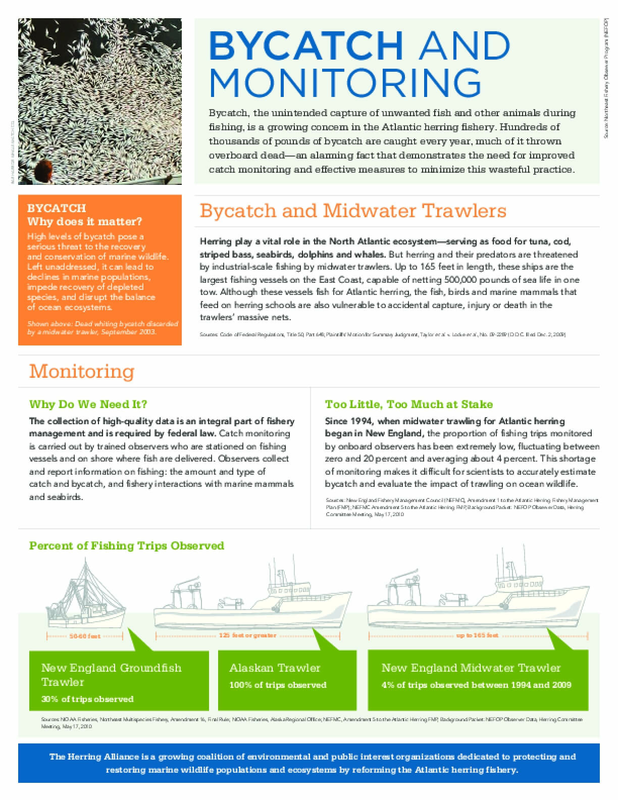 Although these vessels fish for Atlantic herring, the fish, birds and marine mammals that feed on herring schools are also vulnerable to accidental capture, injury or death in the trawlers' massive nets.